CJ Group is reviewing plans to acquire a majority stake in Coway, South Korea’s leading water purifier-maker, joining a slew of potential foreign investors who have expressed interest in the takeover bid valued at around 3 trillion won ($2.6 billion), according to industry sources Monday. CJ is set to join the preliminary bidding Thursday to purchase Seoul-based private equity fund MBK Partners’ 30.9 percent stake in Coway, having chosen Deutsche Securities to guide its efforts, investment banking officials said. “We are looking into the possibility of acquiring Coway, among a number of other options, but nothing has been officially finalized at the moment,” a CJ Group spokesperson told The Korea Herald. MBK Partners put its shares in Coway up for sale in August, selecting Goldman Sachs to broker the deal. 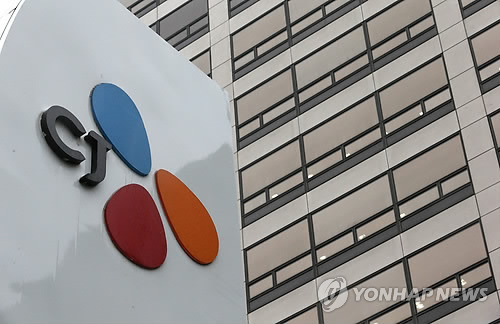 The sellout offer came three years after MBK purchased its stake in Woongjin Coway for around 1.2 trillion won in 2013 from Woongjin Group, which had been facing financial difficulties at the time. MBK later renamed the company Coway. Other players reportedly eyeing the takeover deal include Dutch electronics giant Philips as well as a number of Chinese private equity funds seeking to enter China’s fast-growing water purification business through this acquisition. Some local companies, including Hankook Tire and SK Networks, have also been cited as possible bidders, but both have officially denied reports of interest in purchasing the stake. Meanwhile, industry watchers are viewing CJ Group’s interest in Coway as a part of the group’s continued efforts to diversify and strengthen its businesses through diverse ventures and M&As. CJ Korea Express, the country’s largest delivery company, purchased Rokin Logistics for about 455 billion won last month, while CJ Cheil Jedang has joined the preliminary bid to buy Dongbu Farm Hannong, Korea’s largest pesticide and fertilizer producer, for around 800 billion won. Given this, some speculate that CJ may lack enough capital to finance the Coway acquisition deal independently, and therefore may partner with other strategic investors for the bid. As Korea’s No. 1 water purifier company, Coway posted roughly 1.14 trillion won and 242.9 billion won in sales and operating profits, respectively, in 2014. In 2013, Coway accounted for around 45 percent of Korea’s water purifier market, valued at roughly 1.5 trillion won to 2 trillion won, as well as 35 percent of the domestic air purifier and bidet market, according to Gallup Korea.